Friendship Day is celebrated in the 1st week of August. It’s a day of friends and is very popular among youths. This year the Friendship Day falls on 5th August. People celebrate the Friendship Day usually by sharing Friendship Day greeting cards and Friendship Bands. Friendship Day is a popular celebration in many parts of South America since it was first proposed in 1958 in Paraguay as the “International Friendship Day”. 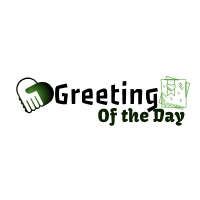 The day was initially created by greeting card industry. The first World Friendship Day was celebrated on 30th July 1958 by the World Friendship Crusade. Later, the General Assembly of the United Nations declared 30th July as the official Friendship Day. But different countries celebrate Friendship Day on a different day. Like India celebrate Friendship Day on 1st Sunday of August. Ohio celebrates on 8th of April each year. Friendship Day is a day where the old and sweet memories are cherished and celebrated. 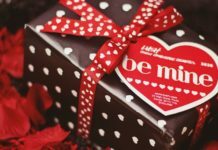 People start by greeting their friends on this occasion and share gifts, chocolate and greeting cards. The recent thing which has always remained on trend on Friendship Day is sharing of Friendship Bands among friends. Greetings cards, chocolates, and various gifts have always remained as a very simple choice to gifts loved ones on any special occasion. But the Friendship Day has special and unique gift items to applaud the bonding of friendship. 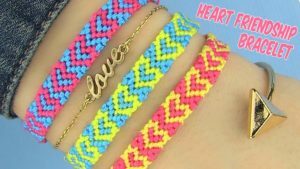 The Friendship Bands comes in various colors, patterns, and designs. These bands are usually made up of plastic, leather and elastic. These days the radium friendship bands are also in trend. These bands usually have the options to carve the name of your lovely friends on it. People wear these bands around their wrist with pride and celebrate and be thankful to their friends for a being a part of each other’s life journey. Friendship Day greeting card can always be your first choice. There are lovely greetings cards available in the market both online and offline. You always have the option to choose from the wide range and variety of greeting cards. Watch, Deodorants, perfumes and cool T-shirts can be the economical option for you to gift your best buddies. Eating at your favorite restaurant with friends will always fill in your heart with great memories that you would cherish lifelong. Going to a nearby tourist spot and traveling along with your best buddies is always thrilling and a bundle of joy. This fills in your bags with a few amazing memories that are bound bring a smile to your face when get reminded of these memories later in your life. Watching movies that show and depicts a great bond of friendship one the best option. 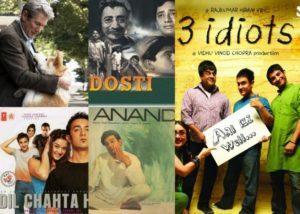 Indian cinemas have few beautiful movies that will always inspire you to live by your friendship. Movies like Fukrey, Ye Jawani Hai Deewani, Kai Po Che, 3 Idiots, Koi Mil Gaya, Rang De Basanti etc. are some great Indian cinemas that a group of buddies would always like to watch and live and experiment with the moments in the film. Let’s make this Friendship Day big and live it to your fullest and add some great memories to life which would always cherish. Happy Friendship Day…!! !